You Guys..this sweater though..I can't even put into words how much I love it. It is one of those things that has been in my closet for a couple years and never gets old. It's one of the first things I pull out when the fall weather starts to show itself. It's so soft, warm, and cozy. It is however a boutique item, so although I did my best to find something similar, I couldn't find the exact sweater to link to. The jeans I am wearing really are blue..they photograph pretty dark though, maybe something to do with the rainy day we were having. 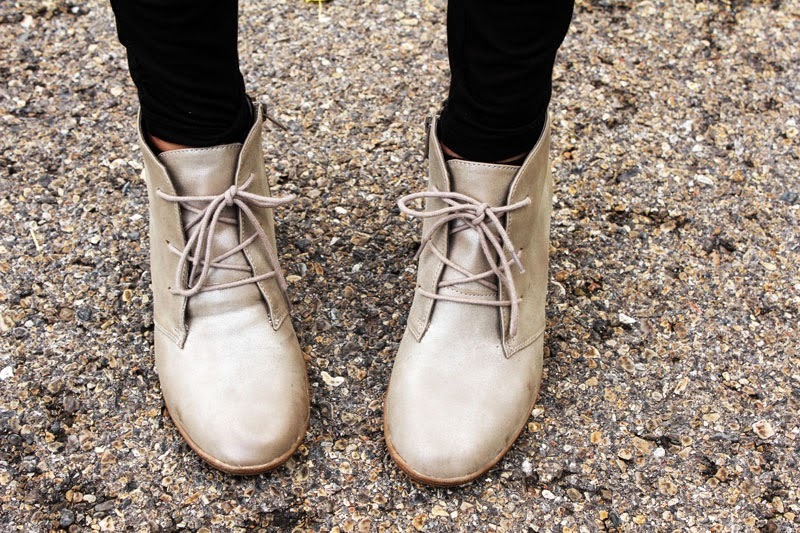 The wedges are also one of my favorite fall finds from Nordstrom Rack. I was a little scared of this style when I first saw it, but I'm really glad I tried it out. You really can't go wrong with a wedge. They make my legs feel skinnier too so thats a plus! Share with us where you are finding your go-to fall outfits!